From today, we’ve teamed up with TransLink to make information about South East Queenland’s entire public transport network — that’s 1,450 of TransLink’s train, bus and ferry services — available on Google Maps. To get started, simply type your destination into Google Maps, click on the “Get Directions” button, and then select the public transport icon to find which train, bus or ferry can help you get to where you need to go. On the new version of Google Maps, you can also compare different public transport options to work out when you need to leave to arrive at your destination on time. This feature is also available on Google Maps for Android and iPhone. When you’re on the go, type in where you want get to and Google Maps will show you how using public transport from your current location. We hope that public transport directions for South East Queensland can give you more choices when planning your next trip. 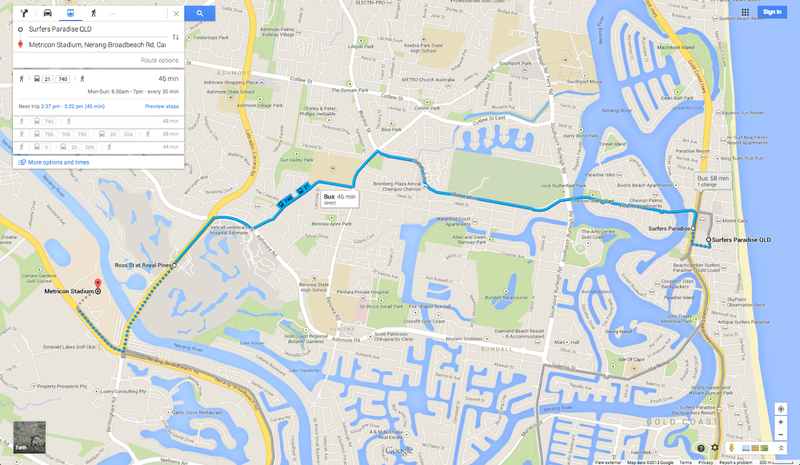 Next time you’re planning a trip around South East Queensland, Google Maps can lend a hand.